Whisk the dry ingredients (the almond flour, ground ginger, ground cinnamon, bicarbonate soda, xanthan gum and sweetener) together in a bowl. Add the butter to the bowl and mix together with your fingertips until the mixture is crumbly. Stir in the syrup and egg until the mixture sticks together and can be shaped into a ball. Wrap in clingfilm and place in the fridge for 10 minutes. Place the ball of pastry in between two sheets of baking paper and press down to flatten. Using a rolling pin, evenly roll out the pastry to the desired thickness (I aim for around 5mm). Use gingerbread men cutters to cut out the shapes and carefully place onto a greased or lined baking tray. I used quite big gingerbread men cutters and managed to get 12 out of the mixture. The amount will vary depending on the size of the cutter and the thickness of the pastry. 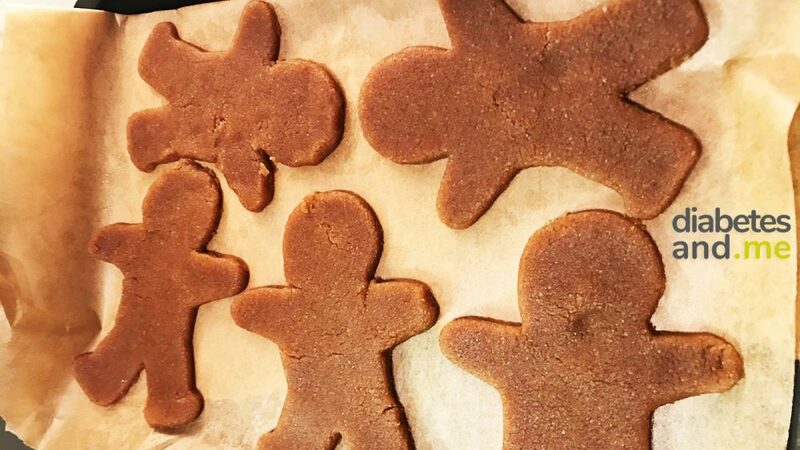 Place the baking tray with the gingerbread men on in the freezer for 10 minutes to help firm the pastry. Remove from freezer and bake in the oven for around 15 minutes, or until golden. 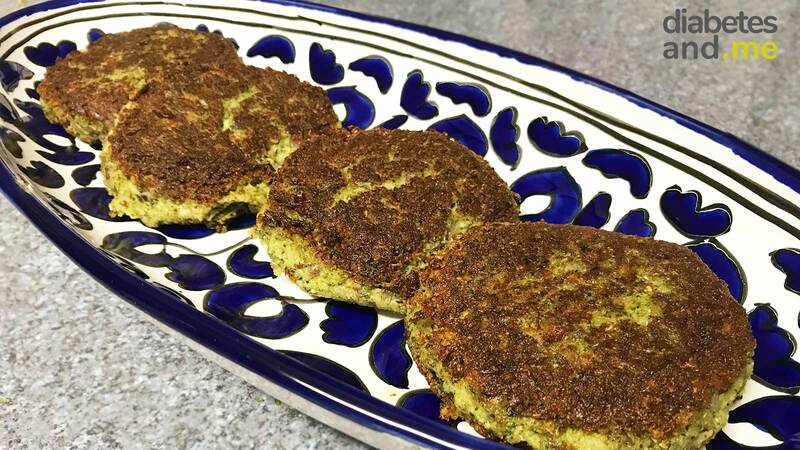 Make sure to keep an eye around the 10-minute mark as these can burn quickly! Remove from oven and place on a cooling rack. Store in an airtight container for up to 5 days. Or freeze for up to 3 months. ** The values here may not be 100% accurate and should be used as a guide only. Please note that the carbs in the polyols have not been included in the nutritional information. This is because carbs in erythritol based sweeteners aren’t well digested by our bodies. If you’d like to find out more information about sweeteners, you can read our ‘Ultimate Guide to Sweeteners’. 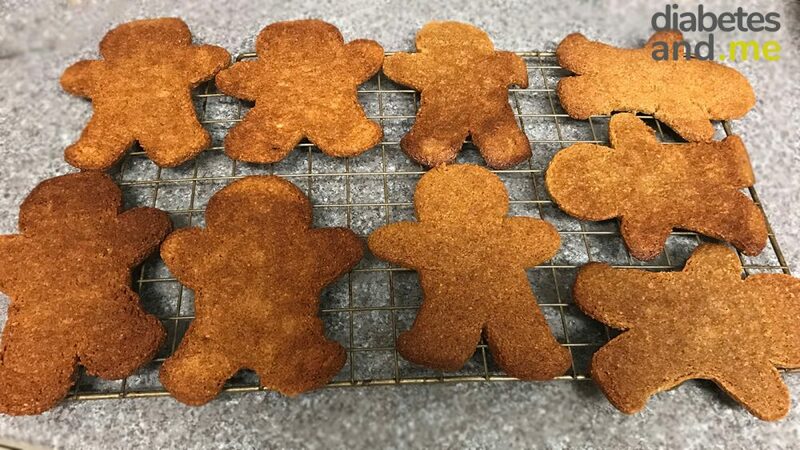 I sorely missed gingerbread men during the Christmas period, so I attempted to adapt an old favourite recipe of mine and make it low carb friendly. I am pleased to say, these gingerbread men taste delicious. 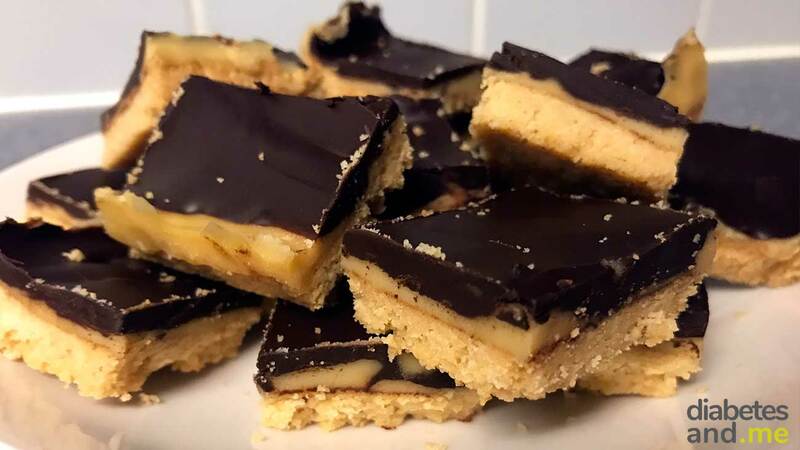 The main adjustments made to this recipe was to substitute regular flour for almond flour, golden syrup for low carb syrup, brown sugar for a low carb brown sugar replacement (although a regular sweetener would work as well), and to add xanthan gum to help bind the ingredients. Due to the fat content in almond flour, the pastry might be moister than you are used to. So you have to be very careful lifting the gingerbread men out from the cutters and onto the baking tray. Luckily, any cracks in the pastry can be easily mended when placed on the baking tray. Simply smooth over the crack in the pastry with your fingertip. This is why freezing is important before baking as it helps to firm up the pastry. If you are like me and have a condition that requires you to monitor your fat intake, this can be made with fat reduced almond flour (Sukrin sell a fat reduced one) and low-fat butter. I have successfully made these with the lower fat alternatives.